I've been on Virgin Media broadband for at least 10 years. When it's up and running, all is good. The issue is continuity. The line drops and there is no internet connection at all. And this happens daily - more than once. As I work from home, this is beyond frustrating. I just don't know whether to move provider? Initially, after researching a little (I am not an expert at all! ), I thought a provider like Zen who offer a static IP might be the answer i.e. get on one good connection, and it won't drop. However, I checked on whatismyipaddress.com and that shows that my assignment is a static IP with VM so that theory doesn't work (and yes, the internet has dropped today already). Would BT be an option? I don't mind decoupling my tv/broadband package so would consider any provider. Would really appreciate your help. My daughters are home from uni soon and they struggle with online gaming. This house could certainly do with your expertise to restore internet karma! However, if you're constantly getting connection drops then I have to ask, have you complained to Virgin about that yet? It should be something they can investigate and hopefully fix. I say that because at present you may find it difficult to find an ISP that can match Virgin's speed on their cable network. But I don't know where you're located so it's hard to say. FYI - Assuming it's the broadband and not wifi/router that's responsible for your problem, then there's no reason to think that the connection drops would continue if you switched ISP as Virgin is a physically different network platform from other ISPs. Thanks Mark. I have complained to VM in the past but this is via their offshored call centre staff who are very polite but have little authority to do anything other than register my complaint and sometimes offer a cursory rebate. If it’s possible that you might investigate, my postcode is KT6 7LG. I reckon today the connection has dropped ten times. Driving me absolutely potty. Is the Vigin media router dropping or just items connected via Wifi? Set up an account with ThinkBroadBand and then create a line quality monitor; it will ping your IP address and record min/max/average ping response times and pack loss 24/7, and display it on a daily graph. If it is a line issue, it should show up quite clearly. Perhaps something Mark could think about adding to ISPR ??? It’s the VM router. None of the hub lights change when the connection drops. The hub connection does restore without a reboot but it takes a while. There is no apprarant pattern to when the hub freezes, so it does not seem to be a set time of the day or at busy times. I’ll do that for sure. Is “pack loss” when the connection drops? Obvious question here, do all the drops occur when you're connected to WiFi and are they replicated if, during such an outage, you also try using a wired connection to your computer from one of the LAN (Ethernet) network ports on the back? Also is this the latest Hub 3.0 router or one of the older ones? The next thing to check would be the routers connection logs to see what the device is recording at the same time in its event history. You should be able to find this somewhere by logging into the routers web browser based admin interface (go to http://192.168.0.1 or if using modem mode http://192.168.100.1). A copy and paste of what you find during one of the events may help. Finally, the alternative ISP options for that postcode aren't clear without you running a phone number or address check (try here to get an idea of whether G.fast is available to you as there is some in the area: https://www.dslchecker.bt.com/ ). If you can get G.fast then a package from BT, Zen Internet or Freeola might be a useful alternative. It's the router. The lights freeeze and that means the signal has gone. Subsequently iems connected via Wifi drop. I use Wifi all the time (laptop, Apple Homepod) so I only notice the drop when these devices stop working. I don’t have a LAN port on my laptop so not possible to attach a wired connection. The back of the box says I’ve got a “Super Hub”. I logged into the VM router web browser but it all went a bit pear shaped. Firstly I identified an iPhone and iPad user (“JoBabe”) who isn’t our household. I managed to change the hub password before the page stopped working and would not reload at all, just timed out. I could not reconnect via 192.168.0.1 until I rebooted the hub, which of course deleted event history. I’m not sure where this leaves me other than perhaps I have a very old hub? Your speed test will be Vigin Media speed the speeds shown using your address is for BT openreach two different networks. Wifi is always dodgy I find many times my phone will say no connection I change the channel it comes back up. I know it says no connection but my internet hadn't dropped just the Wifi stopped working. The lights stopping flashing could be just the same not the modem that has frozen but no signal being recived or sent from the connected equipment. Thanks Kit. There does seem to be a correlation with the lights freezing on the hub and the signal disappearing tho. .
Packet loss is where data has been sent, but lost along the way; a lot of this is a sign of a bad connection, although a few % does occur from time to time. Regular high packet loss often means bad equipment somewhere, either your hub, or possibly further down the line. Although if you can see a pattern to it, it might be signal interference from an outside source. Ping times are recoded across the bottom of the TBB graph, and packet loss across the top. When I was with Virgin over 10 years ago I had plenty of packet loss at peak times because the networ was over subscribed. They also had a habit of stopping the modem for working because they said my MAC was copied by someone. After over 12 months of them saying they were upgrading I gave up and left. Generally if you know somebody that has a laptop with a LAN port that can help you test then that would be ideal. We really need to try and identify if this is a router-wide issue or only something related to the WiFi. 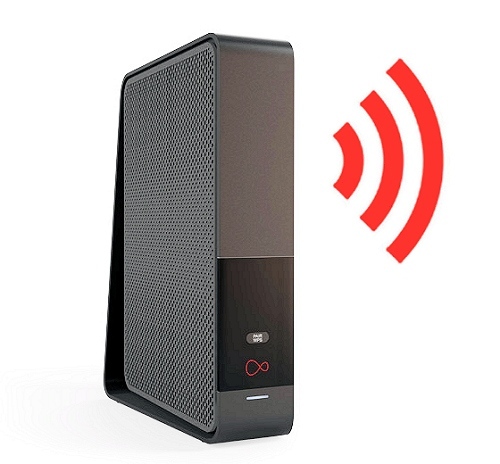 Alternatively if you had a spare router somewhere (unlikely) with a WAN port on the back too then you could in theory switch the HUB 3.0 into "modem mode" and use the second router to do local WiFi / networking stuff by connecting it via the WAN port. However this may be a bit tedious for you but it is another way of ruling various causes out. If none of the above is possible, you could try investing in a USB to Ethernet adapter; I bought one for SWMBO's old PC because the LAN port was only 10/100. They only cost a few ££. however the TBB monitor does the same thing as above - but from the opposite direction - showing if it is a connection issue. No, or very little packet loss at times you lose connection points to the Hub/Hub Wifi being duff. BTW, what laptop? never come across one without a LAN port. It's a (very cheap) Lenovo 8184. My daughters have the expensive kit, but they are only here in uni breaks so I can't use their equipment to test. btw I've completely failed on my thinkbroadband.com. Just got empty graphs (see attachment). Never been a fan of things like that. If the router is a old one then it would be worth trying to get a upgraded one, I am on a VM connection and its hard wired and I have no issues apart from a slight slow down which you wont notice with general use. It could even be on old firmware which older ones did suffer from.